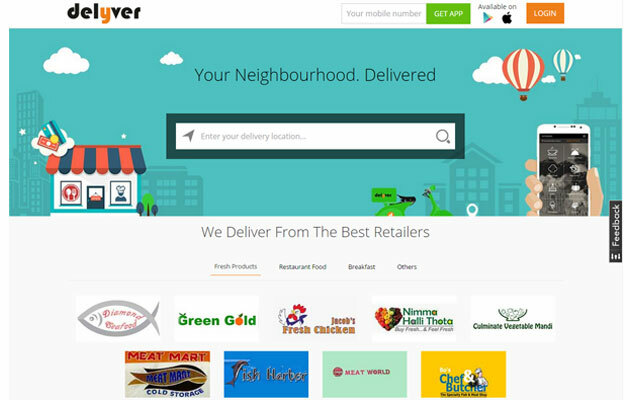 Online grocery retailer BigBasket.com, owned and operated by Bangalore-based SuperMarket Grocery Supplies Pvt Ltd, has acquired hyperlocal delivery startup Delyver in a cash-and-stock deal. The transaction gives BigBasket increased depth in its delivery service and strengthens its ability to deliver quickly in Bangalore, where Delyver has operations. Speaking to Techcircle, Delyver co-founder Praful Thachery said, "We will continue to operate in the hyperlocal space, retain our brand name and function as an independent entity. BigBasket will provide us further funds to expand to more cities and strengthen our team. Meanwhile, they'll start the one-hour grocery delivery service which we will manage." The financial terms of the transaction are not disclosed. With the acquisition, Delyver, run by Bangalore-based Delyver Retail Network Ltd, aims to expand to eight major cities and 50 tier-II cities. It will also beef up its team size in existing cities. "We have always wanted to expand our services to grocery and other categories. We feel this strategic partnership with BigBasket will open up a much bigger play that will help both the companies perform better in a much profitable way," Thachery said. BigBasket.com is an online grocery store with operations in Mumbai and Hyderabad, besides Bangalore. It was founded by a team of five â€“Sudhakar, Menon, Vipul Parekh, VS Ramesh and Abhinay Choudhari. The team has both offline and online retail experience, as it had earlier set up India's first e-commerce site FabMart.com in 1999, and then established the Fabmall-Trinethra chain of more than 200 grocery supermarket stores in southern India. Trinethra was sold to Aditya Birla Group in 2006 and currently operates under the brand name 'More'. BigBasket has investments from Bessemer Venture Partners, Helion Venture Partners and Zodius Capital. It was valued at Rs 1,400 crore when it last raised funds in January. According to a VCCircle report in April, PremjiInvest, the private investment arm of Wipro Ltd chairman Azim Premji, was in discussions to lead a $50 million (Rs 312 crore) Series C investment round in BigBasket.com. The investment round is expected to be wrapped within three months. The company had earlier raised Rs 200 crore ($32.9 million) in its Series B round of funding from a clutch of investors including Helion Venture Partners and Mumbai-based Zodius Capital. Previously, it had raised $10 million in its Series A funding from Ascent Capital. BigBasket is understood to have closed fiscal 2015 with a top-line of Rs 250 crore and a run-rate of 6,000 orders a day with average billing of Rs 1,500 per customer. Founded in 2010 by Thachery, Reebu Varghese and Afsal Salu - batchmates at IIM Lucknow's 2004 batch - Delyver Retail Network Pvt. Ltd works to tie up with merchants or vendors of local services and delivers their products with its logistics. The company provides a delivery platform for a host of categories such as food, ice cream, flowers, dry cleaning, raw meat and fish, fresh veggies and fruits, cakes, chocolates, etc. In 2012, the founders had raised an undisclosed amount in angel funding from BigBasket's co-founder V Sudhakar and other individual investors such as K Ganesh, Meena Ganesh, and Shankar Maruwada in 2012. The company then raised $1.05 million funding from Agnus Capital LLP and Ramesh Sundaresan in March 2014. Now operational only in Bangalore, Delyver is present in close to 40 neighbourhoods in the city and competes directly with a number of other delivery startups, including PepperTap, Grofers and Local Banya. In April, Sequoia Capital and Tiger Global-backed Grofers acquired My Green Box, a smartphone based grocery delivery platform. BigBasket.com Delyver Retail Network Ltd. Delyver.com SuperMarket Grocery Supplies Pvt. Ltd.